This is an implementation of the famous electronic game "Simon says" (aka Senso) with a LPC810 - ARM Cortex M0+ in DIP8 case. 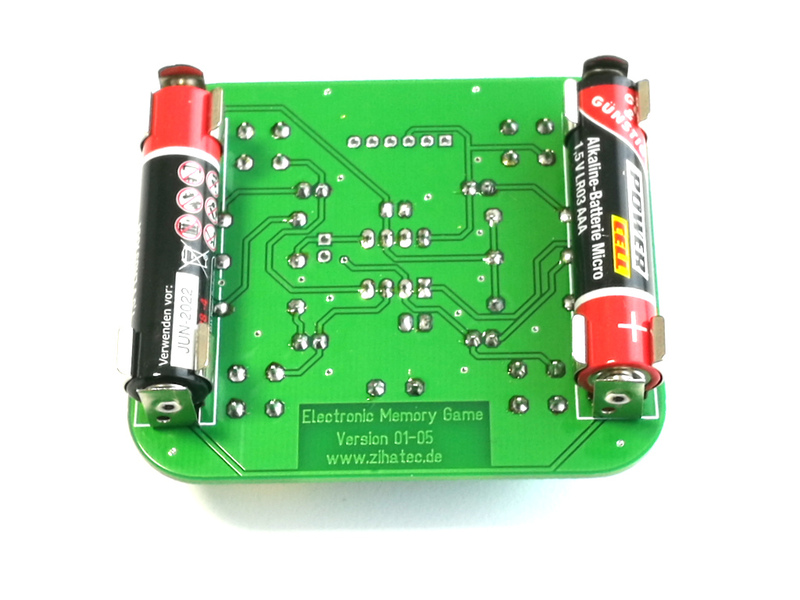 The minimalistic design needs only 18 parts for the realisation. 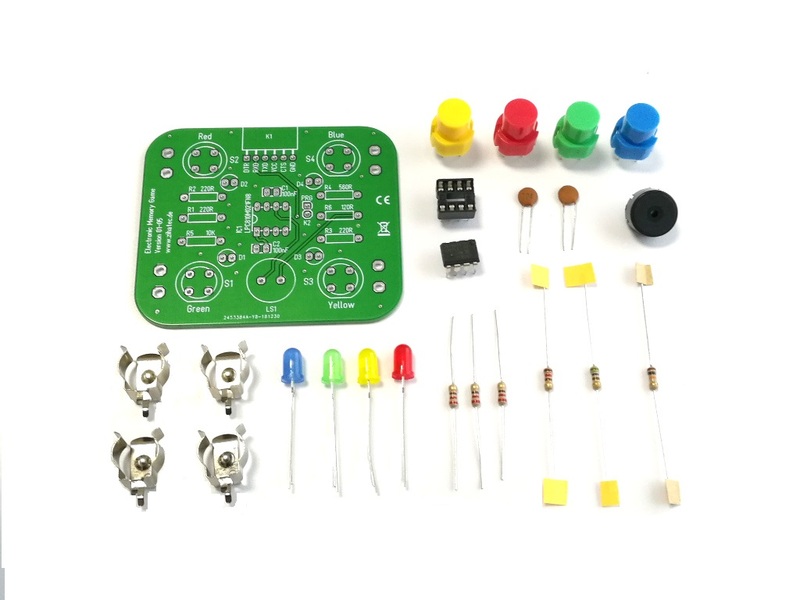 It's esay possible to built your own Simon on a breadboard. 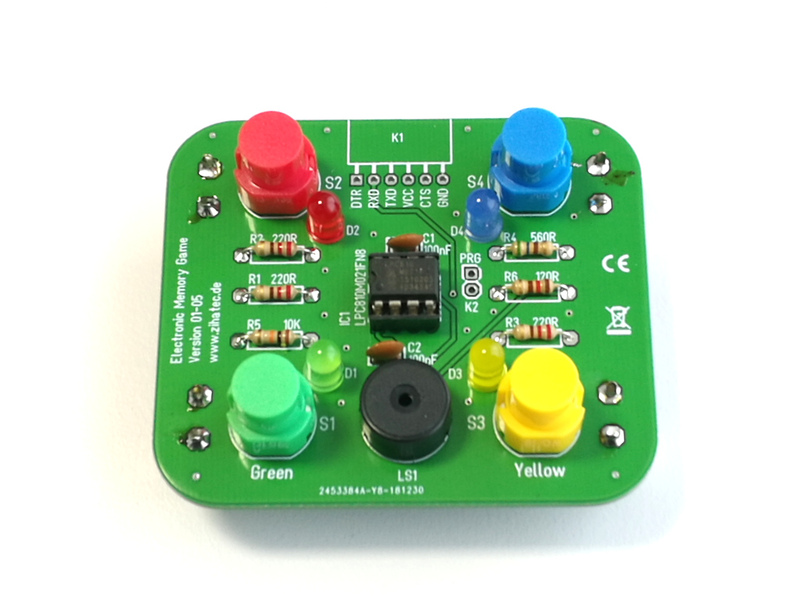 We provide also a DIY kit with pcb and THT parts for beginners including the pre programmed LPC810 - see below. Press the green button first - this will wakeup the LPC810 from deep power down mode.All leds will flash after releasing the button. Do what Simon says. Follow and repeat the sequence of lights and sounds for as long as you can. after a wrong input all leds will flash and the game will show you the right input. Batteries not included. 2x R3 (AAA) batteries needed.